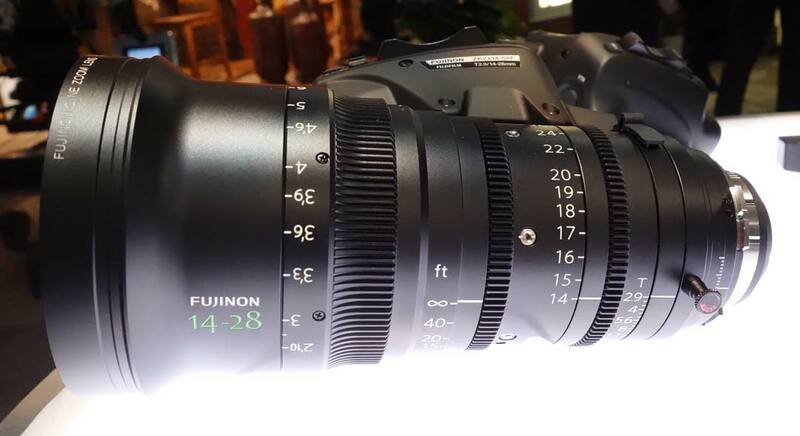 Fujinon usually has a surprise under glass at NAB. 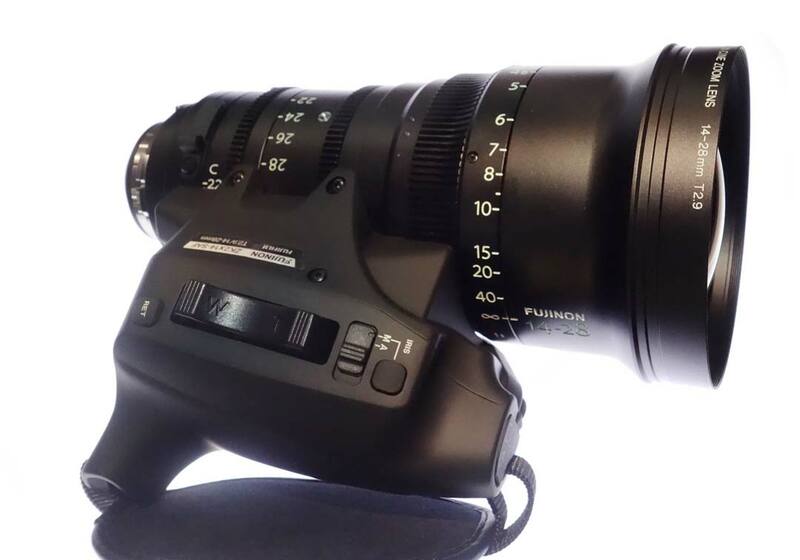 This year’s revelation was a pre-production Premier PL 14-28 mm T2.9 Cabrio wide angle zoom (model ZK2x14). It will join the 19-90 T2.9 and 85-300 mm T2.9-4.0 Cabrios around the end of 2013. The handgrip / servo drive provides zoom, iris, and focus lens data in LDS and /i metadata formats. It is detachable.